The nudge is king as NetEnt takes players deep into the jungle on a treasure hunt in search of ancient gold. “Nudges are a big favourite with players around the world and with us too, so we created a game that is all about nudges delivering great wins. The feeling we created when combining nudges with the re-spins, giving a chance for even longer nudges, is a pretty powerful one. 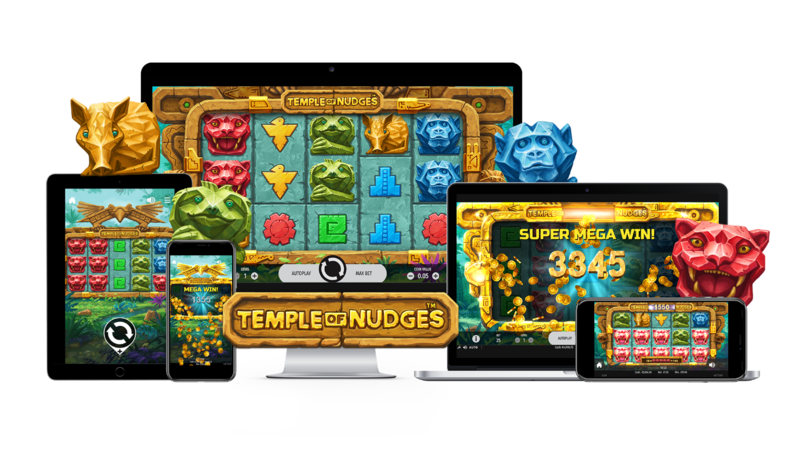 Temple of Nudges™ will be a great and specifically crafted addition to our diverse and deep portfolio.” said Bryan Upton, NetEnt Director of Games.